Let’s face it: nobody rocked the Renaissance like the Medici family did. Known for their banking prowess, the Medici family were also famed patrons of the arts. These famous Florentines did everything they could to rise to power, and intrigue surrounds them. 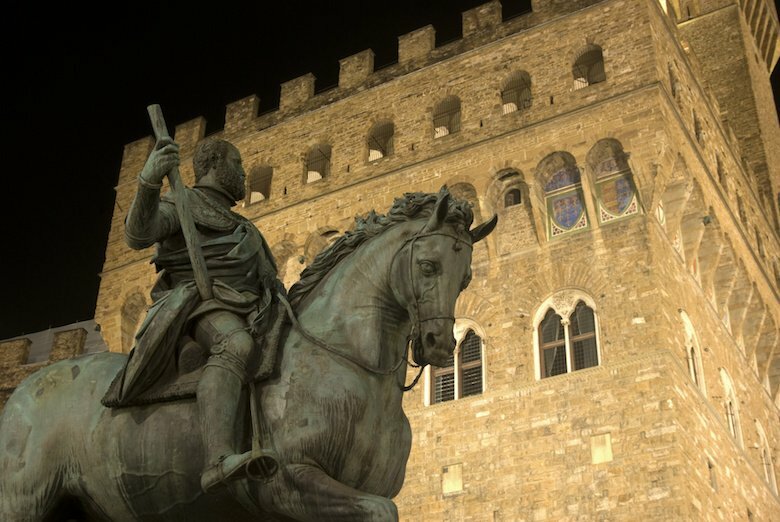 Here are ten Medici family facts you may not know. 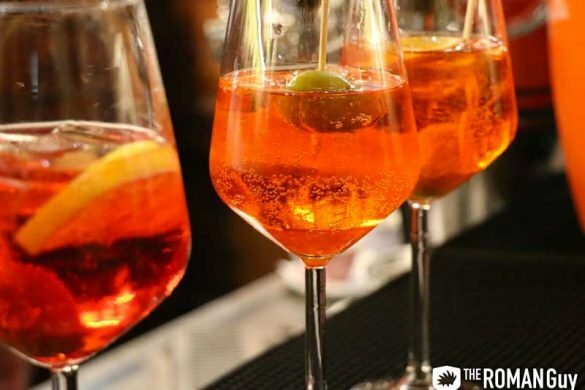 Headed to Florence? 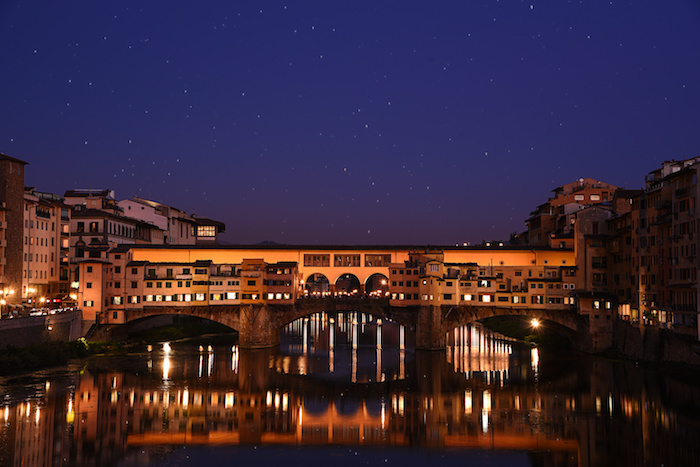 Check out the assortment of available Florence tours, including small group and private Uffizi Gallery tours, Florence walking tours and a Florence food tour with steak and wine. Well, at least they didn’t have noble blood. But the Medici family tree is full of intelligence and shrewd business acumen. And if you know the answer to “where did the Medici family live?” then you know why they were proclaimed the “Grand Dukes of Tuscany”! Of course, they didn’t want their modest origins to be remembered. That’s why they encouraged the spread of rumors about their roots. Such legends included that the family descended from the god Perseus. Another legend claimed that the family is related to one of Charlemagne’s knights who defeated a giant. The Medici family started the most popular bank in Europe, the Medici bank, and they pioneered writing rules about loans. At one point, the Medicis managed the majority of great fortunes in Europe, from merchants to members of royalty. For a time, the currency issued by the Medici bank, the florin, was the preferred currency for business through Europe. Historians say that the famous “palle” (balls) on the Medici coat of arms, represents coins. You can still see their “logo” on several buildings throughout Florence. Art came at high prices, even during the Renaissance. The Medicis believed that common folk should be able to view and appreciate artwork, even if they couldn’t afford to purchase it. This is the reason why they are considered the first marketers of art in modern history. The Medici family believed that paying for art, then giving it away to the church and city was their “Stairway to Heaven”. Speaking of art, Michelangelo was linked directly to the Medici Family. It was a love/hate relationship between Michelangelo and the Medicis, but some of the work they commissioned from him turned into his most iconic masterpieces including the Moses, the Sistine Chapel and the statue of the David. 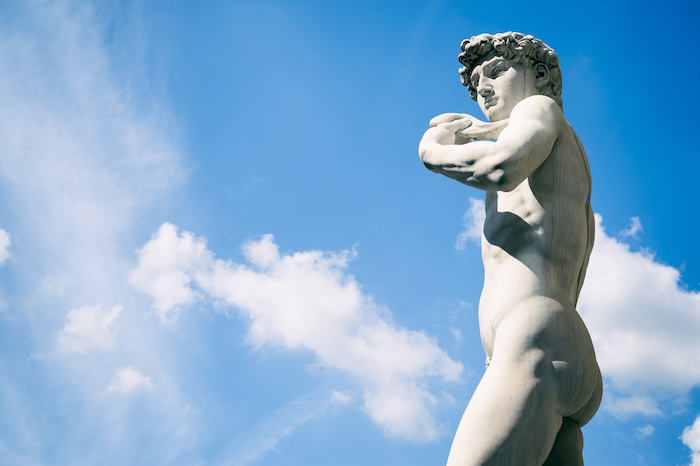 The David is so iconic, that now it’s the symbol of Florence. 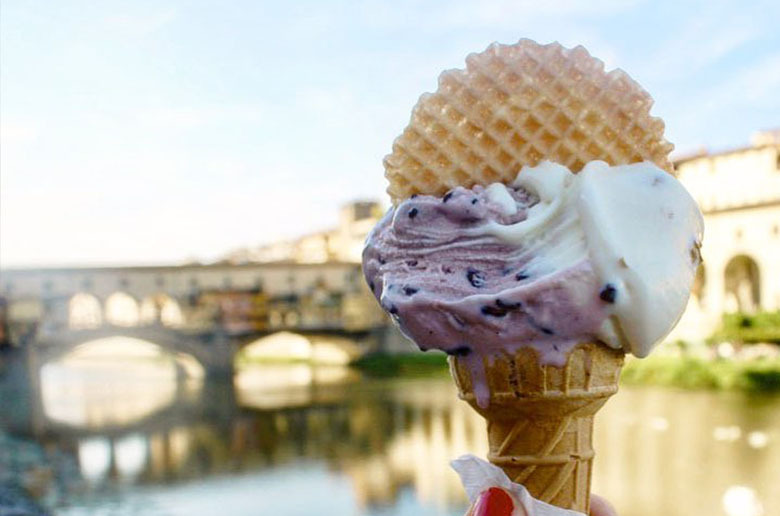 The famous Florentine family was instrumental in the creation of one of Italy’s delicacies: gelato. The Florentine chef Bernardo Buontalenti invented modern gelato in 1565, when the Grand Duke Cosimo I de’ Medici asked him to organize a banquet to receive the Spanish deputation. He decided to surprise everybody with a new invention, a tasty dessert based on eggnog, milk and fruit, giving birth to the famous “Florentine cream” and “Buontalenti”. So next time you treat yourself to some gelato, thank the Medici family. Four popes were Medicis, to be exact. The most famous, Giovanni di Lorenzo de’ Medici, known as Leo X, had superb taste in art (like the rest of his illustrious relatives). 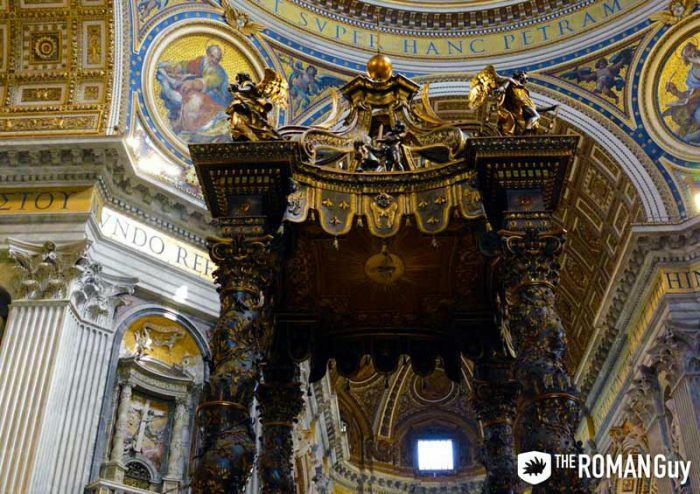 He wanted to rebuild and restructure St. Peter’s Basilica with the help of Michelangelo, but there wasn’t enough money. That’s why he created the “indulgences”, documents which declared that people who contributed to the cathedral were absolved of sins in exchange for money. Not everybody liked this idea, especially a man that was rising against the Church: Martin Luther. The Medici even had an alchemist, Francesco di Medici. He had a secret room, Lo Studiolo, inside the Palazzo Vecchio, decorated with hidden closets full of exotic potions and weird things from all over the world. The legend says he had a special closet for a coveted substance: opium. It’s pretty obvious there are things money can’t buy. Well, unless you can count Galileo Galilei as your personal mathematician, philosopher and close buddy. Galileo gifted his former student, the Grand Duke Cosimo II of Tuscany, the Medician stars, a discovery of four celestial orbs that became the perfect way to honor the renowned Medici family. Forget about a vegan lifestyle. 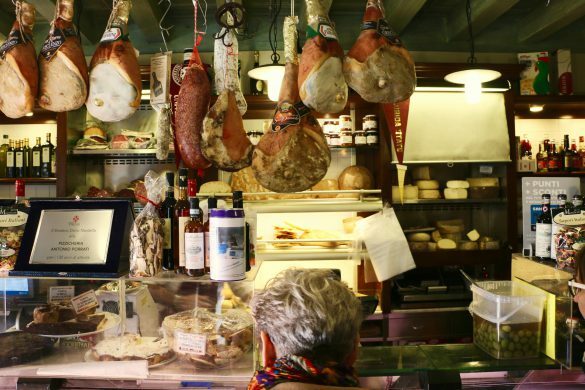 They were huge fans of meat, in all of its forms: chicken liver, duck, wild boar prosciutto and, of course, bistecca alla fiorentina (T-bone steak). Back in those days, this wasn’t seen as an unhealthy diet, it was more of a precious and wealthy one. That’s why some of the most well-known Medicis, like Cosimo the Elder, suffered of gout, known as the disease of the kings. 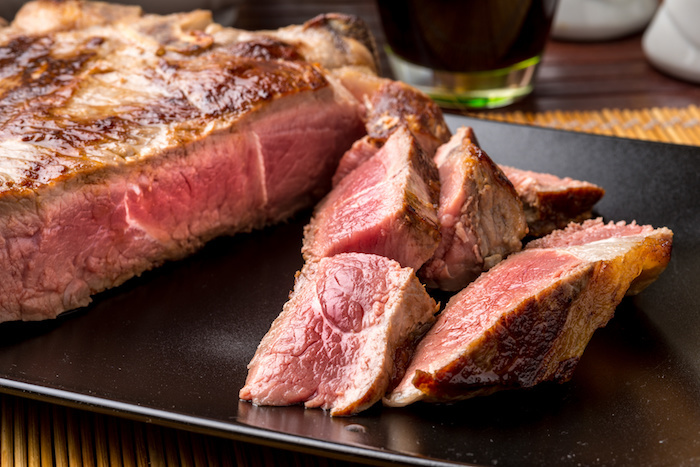 While we don’t recommend you eat it breakfast, lunch and dinner, Florentine steak is delicious. 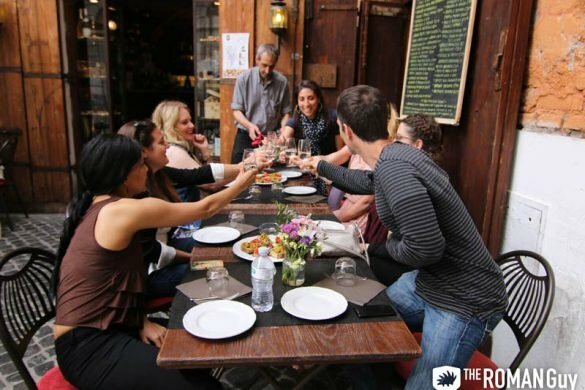 Try it on our Florence Evening Food Tour with Wine Tasting and Steak. Because of her generous love for the city of Florence, the last descendent of the family, Anna Maria Luisa de’ Medici, created the “Family Pacts”, that ensures the preservation of any of the Medici family’s artwork. The pact states that the artworks belong to the state to educate people about the Medici family and attract foreigners. Thanks to this legacy, we can enjoy with countless treasures in Florence, like the Uffizi Gallery. Mara has an Andalusian heart and a passion for renaissance art. Living a Dantesque life in Florence, she leads Florence tours and also enjoys acting.